Whenever a Mahesh Babu film is ready for release, the pre-release business is just out standing. Latest update reveals that the satellite rights of the film have been bagged by Zee TV for a staggering 11.20 crores. These rights are the highest for any Mahesh Babu film till date and have set the ball rolling for the film. Reports suggest that Zee TV bagged these rights amidst huge competition from other channels. 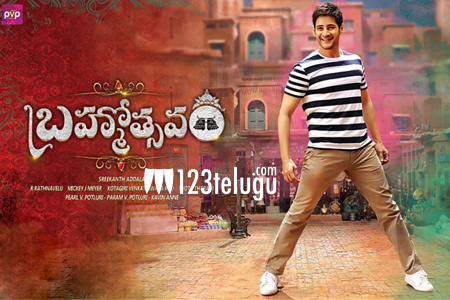 Slated for a release this Friday, Brahmotsavam is a family drama which is directed by Srikanth Addala.